Aaaaaaaand, drum roll please! 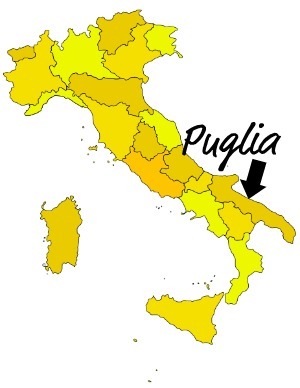 I’m finally talking about Pul-Pul-Puglia. We had a great trip in April. 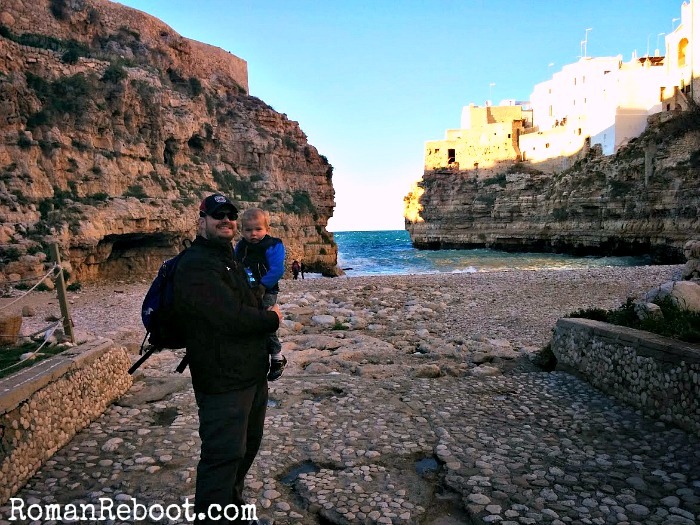 Here’s how we did Puglia and you can too. 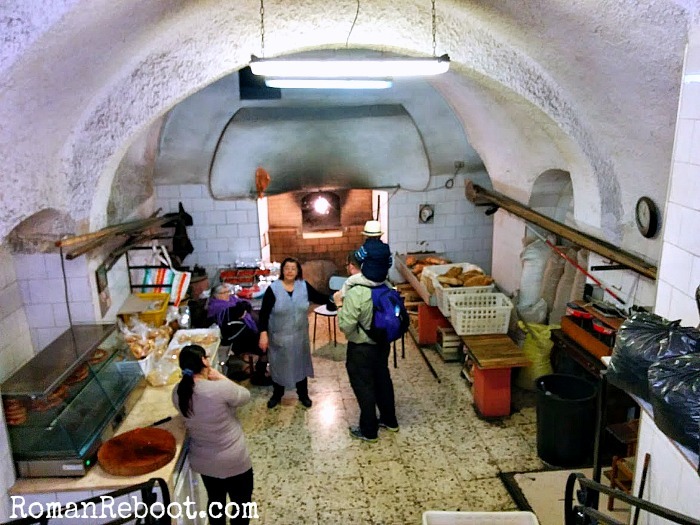 But first, a little on this region, known as the breadbasket of Italy. This is farm country. We drove by endless groves of olives and flowering orchards. 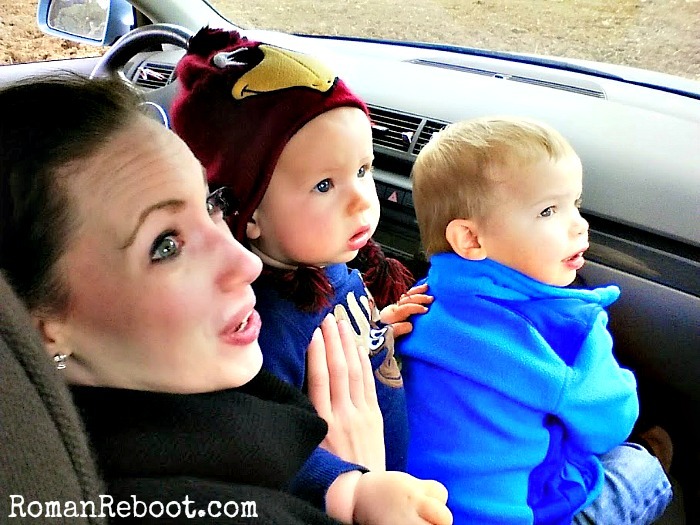 We saw giant tractors driving down the roads. (Henry: “where?” every time he just missed one.) The relatively flat land made it easy to zip between sights. 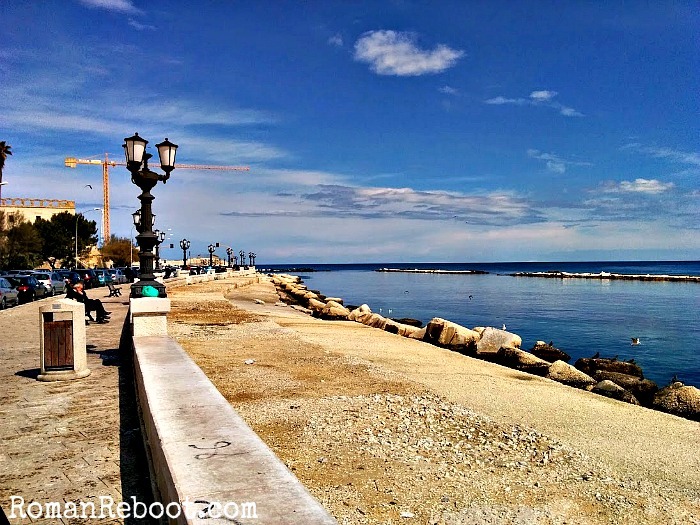 Puglia is the heel of Italy’s boot. This was actually our first trip south. It was also our first trip “off the grid,” meaning it was not covered in our trusty Rick Steves. 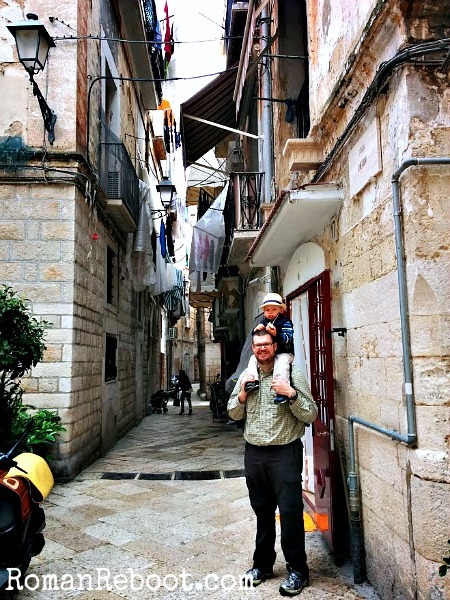 We talked to friends and scoured the internets for things like 10 Best Places to Visit in Puglia, Puglia tourism, and any blogs we could find. We spent five days on our trip, and I’m glad we did. First, the drive is a little longer than our usual day trips. From Rome, it will take you five-seven hours depending on where you are going. 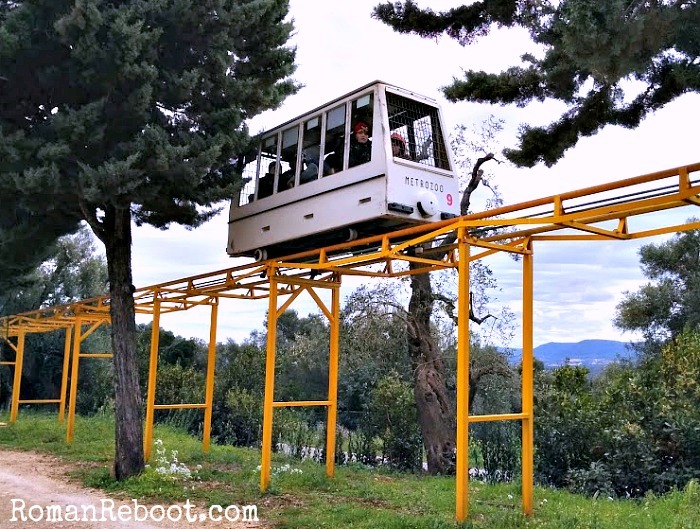 (We stopped at Reggia di Caserta to break up the drive.) Second, there is just SO MUCH TO SEE. I could have filled a month with things to do. Here are some things we managed to check off our list. 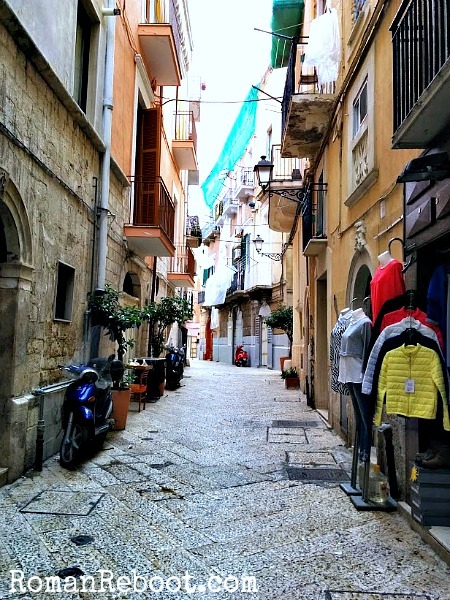 Bari – Puglia’s capital is a port city where life is literally overflowing into the streets. 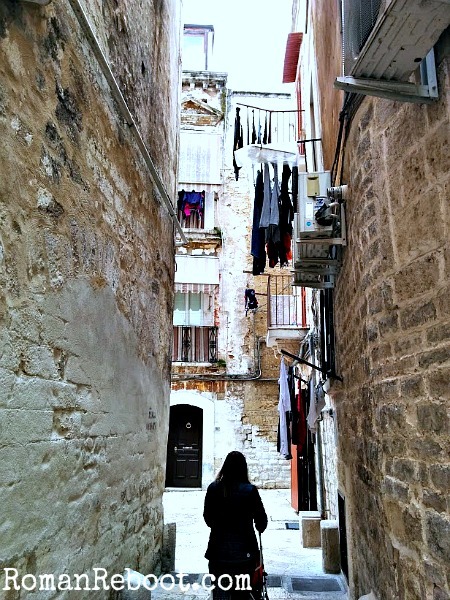 As you stroll narrow streets, crisscrossed with laundry, you can see locals sipping caffe and cooking snacks. We saw a bakery of some sort, or so we assumed. It could have just been someone’s house where they had a lot of bread. I remembered once upon a time in 2007 when James and I went wine tasting and a guy tried to sell us a baguette to eat along the way. And I said no! Since then, my motto is to always buy the bread. We ripped off glorious hunks as we walked around the city. It was an excellent idea. 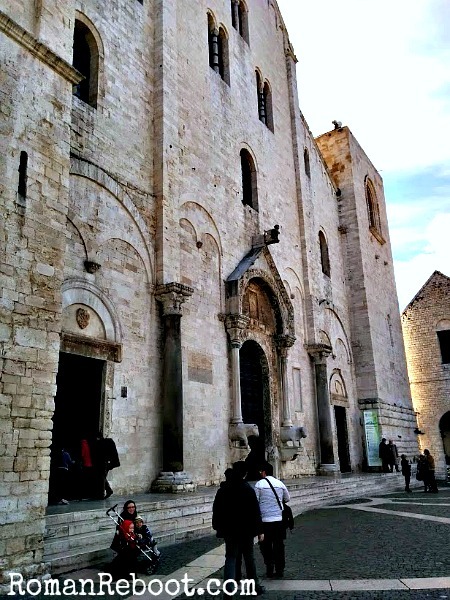 The Basilica di San Nicola, which holds the remains of St. Nicholas, has a unique, white-washed interior that perfectly fits with a town by the sea. Henry’s takeaway: “Santa Claus is buried here.” We showed up a little late for Easter services, and stuck around even though it was standing room only. 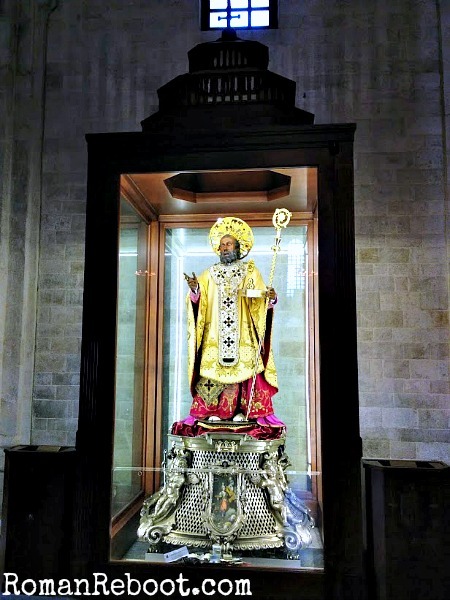 St. Nicholas. His remains are in the crypt under the church. Restaurants line the Piazza Mercantile, but we enjoyed a seafood feast at Borgo Antico, a restaurant we were escorted to by a produce vendor after we asked for a recommendation. Like we asked the guy where we should eat, he whipped out his phone to try to call but they weren’t answering, so he walked us across town on his own and told the restaurant people to take care of us. Even though the exterior looks like a tourist trap, I can vouch that the restaurant was packed to the gills with locals on Easter. 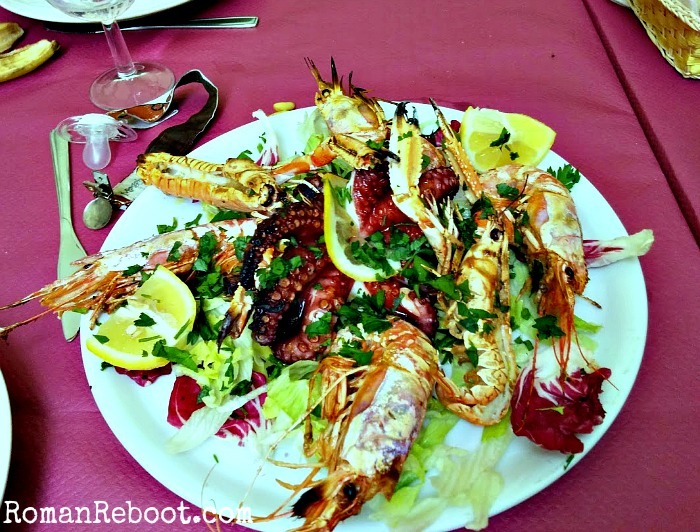 Our 6-course seafood extravaganza was 25 euro/person, but pastas started at just 5 euro. 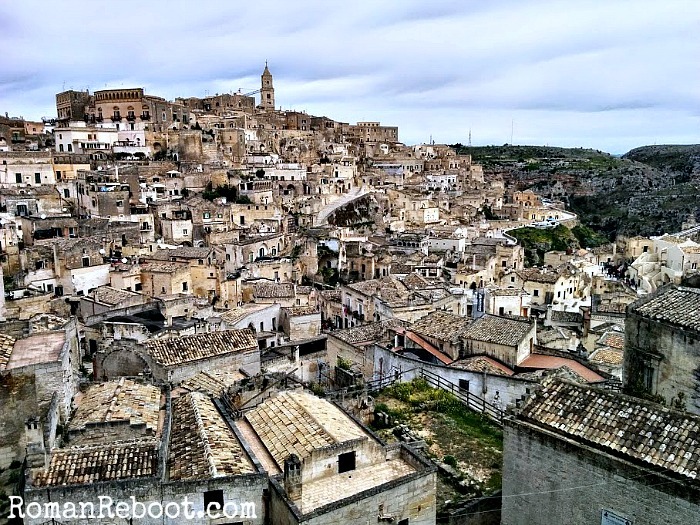 Matera – Technically, this one is just outside of Puglia, but if you are all the way down there, don’t pass up the Sassi of Matera. You know how rare it can be to see something completely new that it just takes your breath away? Well, that is here. 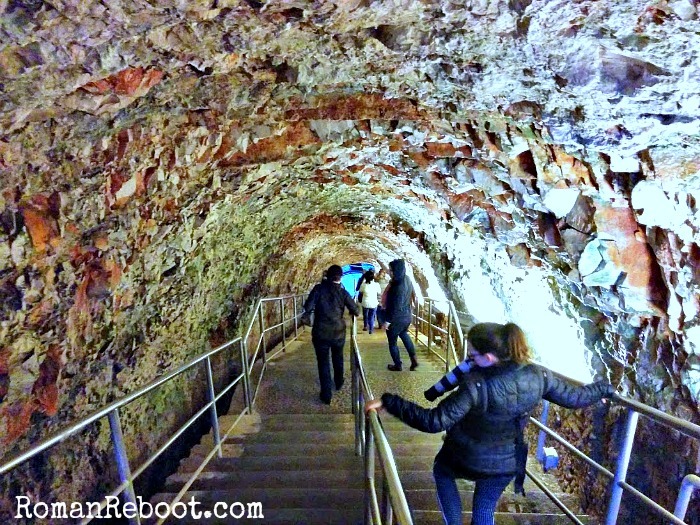 The steps up and down this cave city (inhabited by humans for 9,000 years) are not stroller friendly, but the walk is definitely worth the views. There are several rock churches you can check out as well. The city’s Old School Holy Land feel means that many movies are filmed here, including the Passion of the Christ. We hoped to try ristorante Trattoria del Caveoso for lunch after a recommendation, but it was booked solid. We settled for a decent meal down the street at Il Morgan Ristorante Pizzeria. Want to see more? 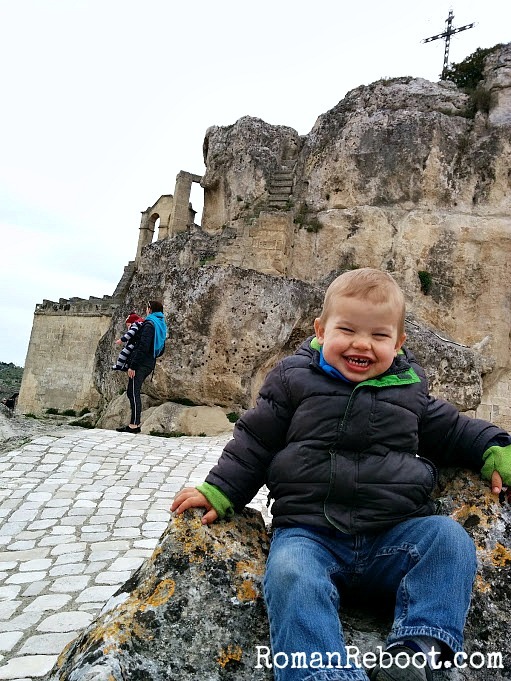 Check out bonus Matera pics on facebook. 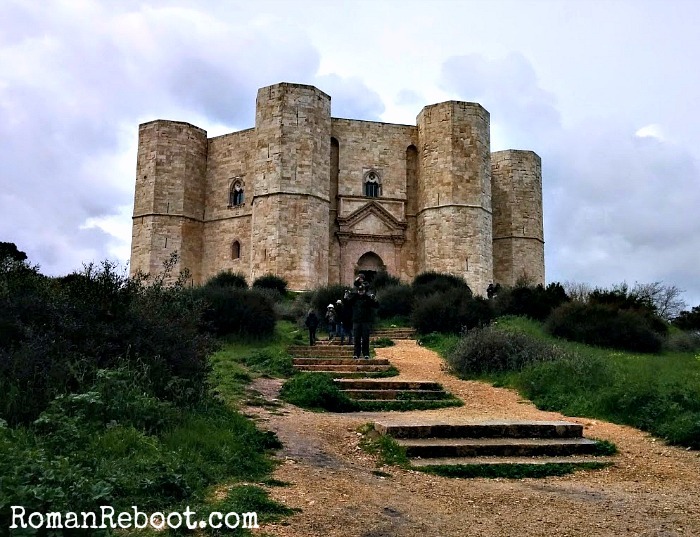 Castel del Monte – Castel del Monte is so famous that is is on the back of the Italian one cent coin. Entrance to this imposing octagonal castle costs 5 euro for adults. There is a shuttle that runs from the parking area to the castle (one euro/person). If the weather had been nicer, we may have walked, given how crowded the buses were, but it is a little over a mile. In the end, the buses worked fine and we didn’t have to wait too long. Bar-type food is available at the parking area. The restaurant by the castle was closed during our April visit. Thankfully, there is a bathroom outside the castle. 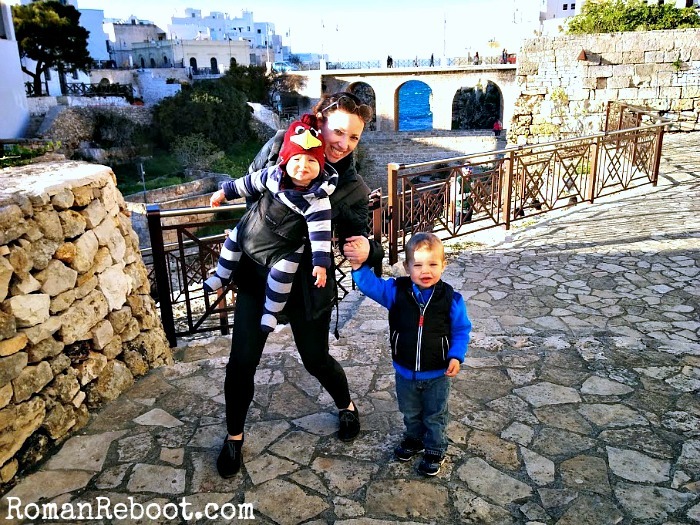 Polignano a Mare – This city by the sea with breathtaking views is a great stop for a stroll with a gelato. 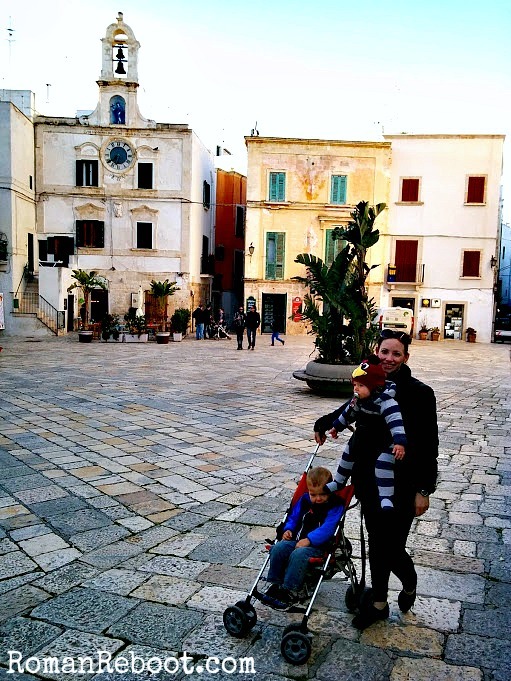 It is less great for trying to carry a stroller down the steps and across the rocky beach to touch the Adriatic. We should have just strolled around the old town or sat down in a restaurant overlooking the sea. But noooooo, we wanted to touch the Sea. The path to the water involves lots of stairs. And rocks. You’ve been warned. 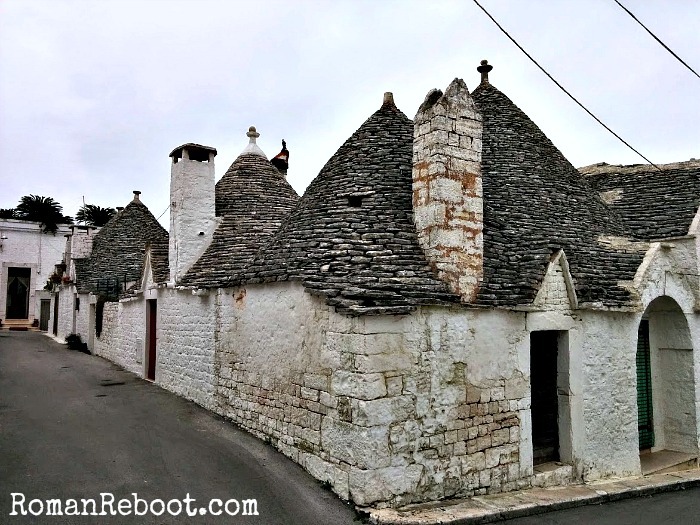 Trulli – Puglia is known for these conical gnome-like huts, which dot the olive groves and fields, but you can see a town full of them in Alberobello. (Why the funny shape? Think about tax avoidance.) I’m mixed on recommending because the town is a kitschy tourist trap, but it merits at least a short stop. I tried to look past the tchotchkes, but they were everywhere. Grotte di Castellana – Two tours of these stunning caves are offered: partial and complete. Know that the partial does not include the world-famous Grotta Bianca. 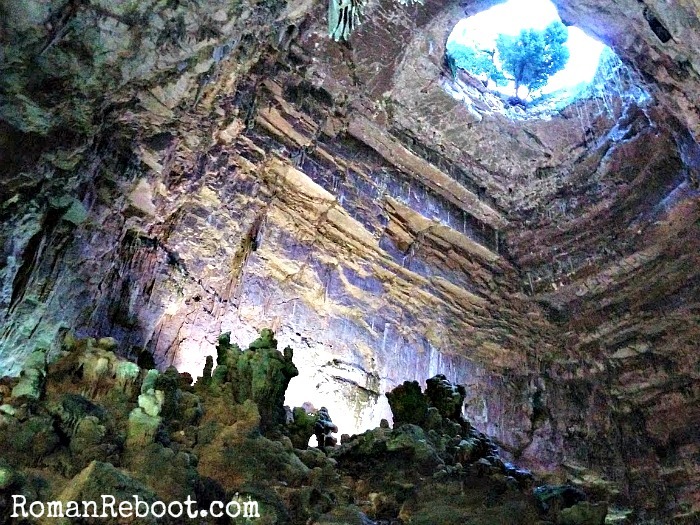 It was about 100 steps to get into the caves, but there were minimal steps inside and an elevator out. (Bonus!) I was definitely questioning the wisdom of bringing the kids in as we started down all the steps, surrounded by the large Italian tour group. (Tours are offered in Italian or English/German.) But the tour groups separated once we got going and the kids liked it. At least Mac really did. I think Henry would have been more impressed if we didn’t opt for the 6:00 pm tour. 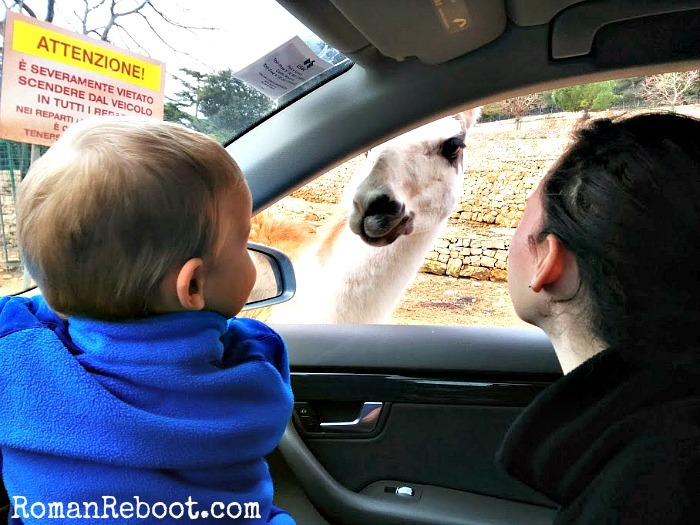 ZooSafari – Your 22 euro (free for kids under 4!) buys you hours of entertainment with animals. 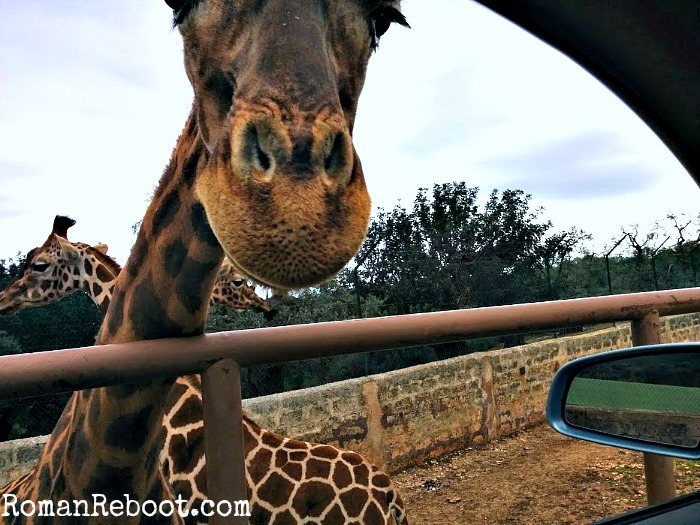 You can drive through lions, tigers, and bears (oh, my) with the windows up and then try to pet giraffes, camels, and goats. 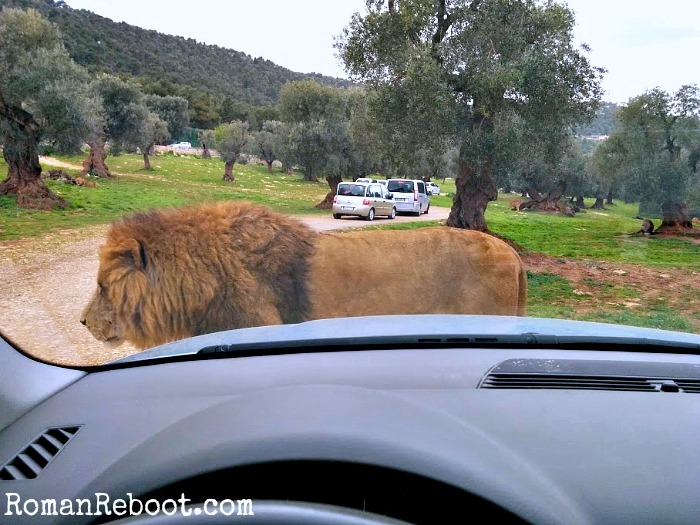 For the fierce animals, you have to drive through double gates. 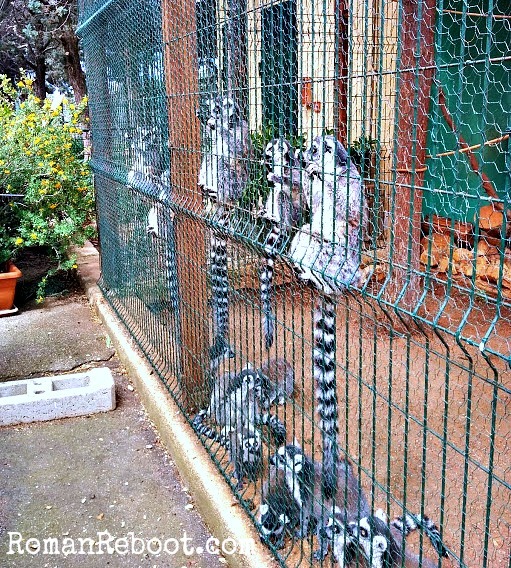 You know, to get into the animal paddocks. I definitely did not feel like I should be watching behind me for velociraptors all the time. Haha, what could possibly go wrong? The car did not feel like sufficient protection at times. We were all, are they really letting us do this?? Even more animals on the facebook. We packed as much as we could into our five-day visit, but we had to leave a lot out as well. 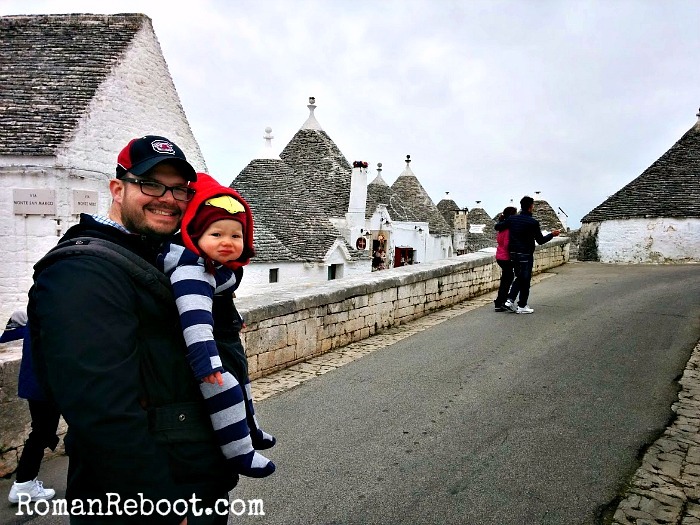 We didn’t make it to white-walled Ostuni or Baroque Lecce, known as “the Florence of the South.” Even though there are about a million and one other things we want to see while we’re here, we just may make it back to Puglia.